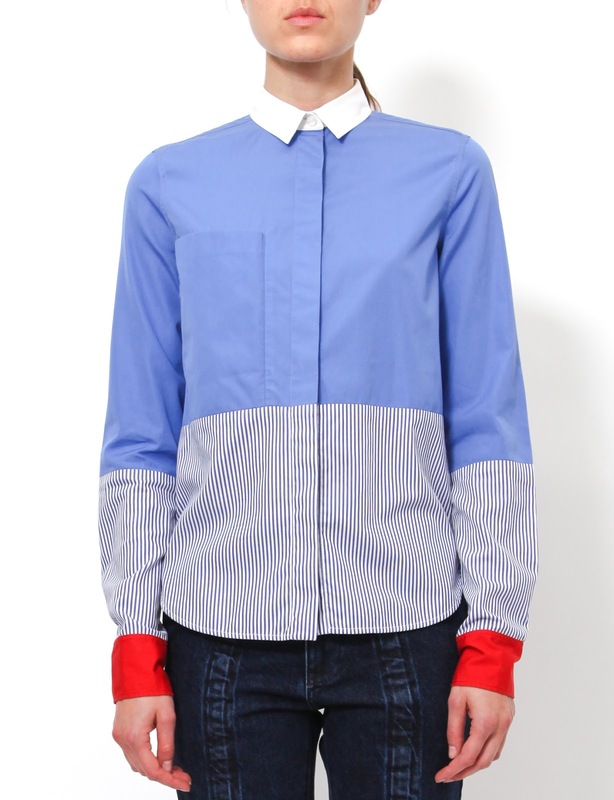 Readers, how do you feel about color-blocked shirts? I made one for the first time three years ago and the results weren't bad. This month, I find myself color blocking once again. 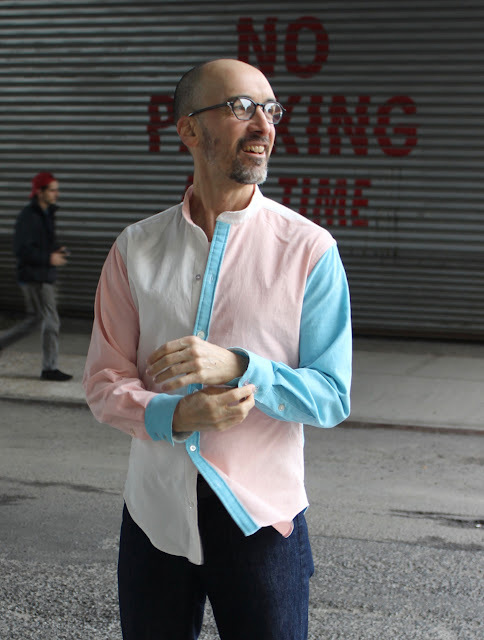 I was invited by Style Maker Fabrics to create a garment using some of their new fall fabrics, and I thought I'd take the opportunity to challenge myself to create another color-blocked shirt. This time I'm using three different shades of cotton chambray and a bold cotton flannel plaid of roughly the same weight. Part of the fun of color blocking is planning which colors are going to go where. 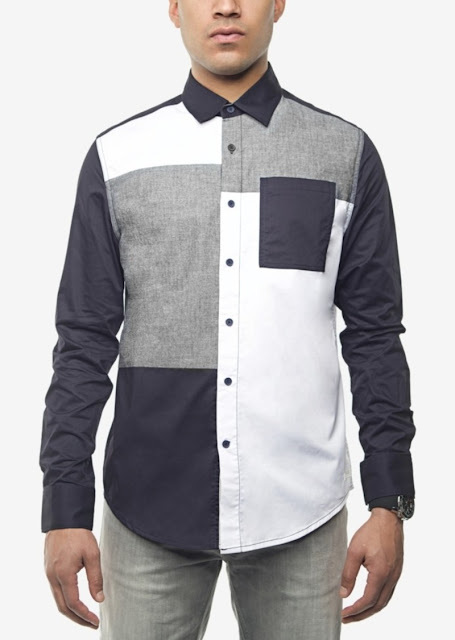 I want the shirt to look balanced but not boring. 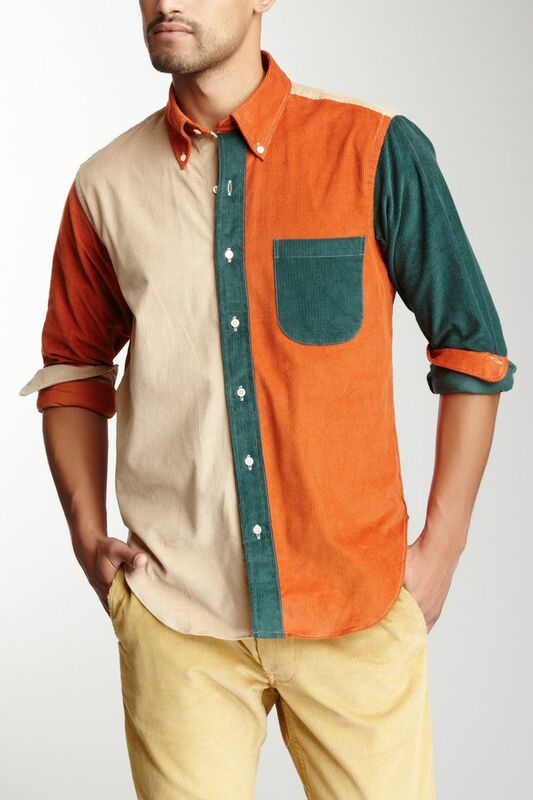 I dug up some images of color-blocked shirts online for inspiration. I think if you're doing color blocking, it's a good idea to have a center button placket to break the colors up a bit and create a sense of symmetry. 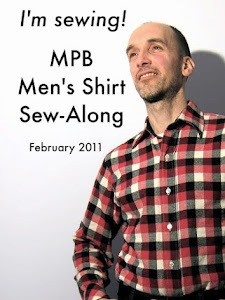 On the shirt below, with no center placket, doesn't it look like there's too much green plaid and not enough red plaid? I guess you could argue that the red plaid pocket balances that out a bit. Still, to my eye it looks funky. On the shirt below (Sean John for Macy's), I think there's better balance and I like that the color blocks break up the left and right fronts. Here's a very different take on color blocking. I think the result is elegant though the sleeves look too long. Here's where things stand with my shirt so far. 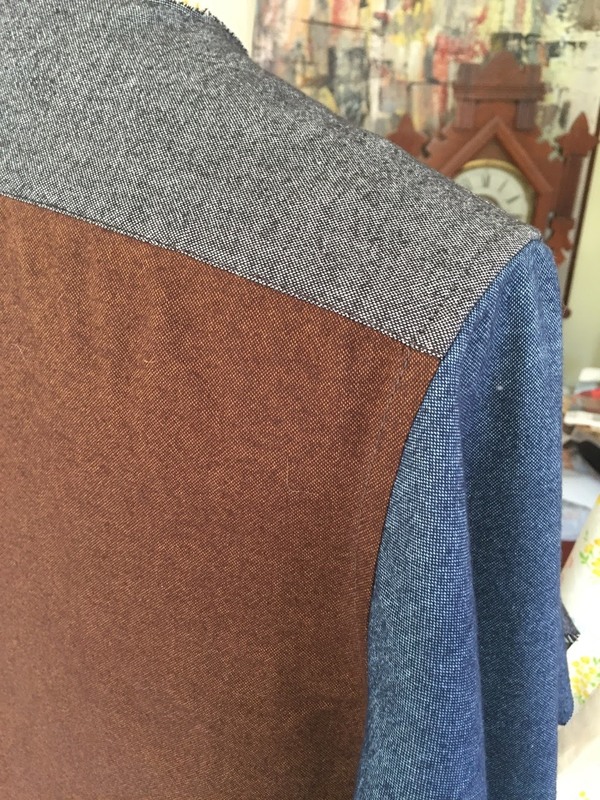 I decided to use blue on one side and gray on the other with a brown center placket. 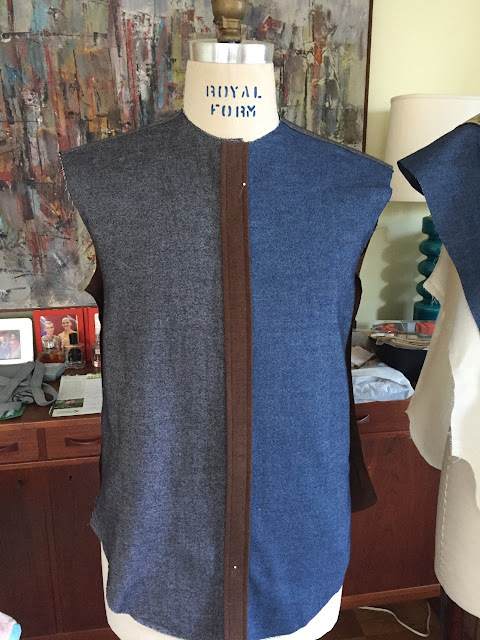 The back is brown, the outer shoulder yoke is gray, and the right sleeve is blue. 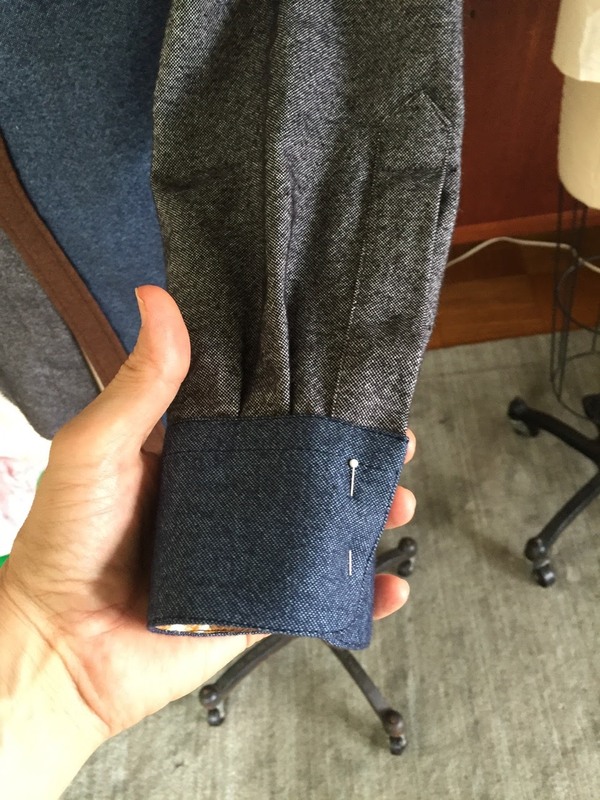 The left sleeve is gray. 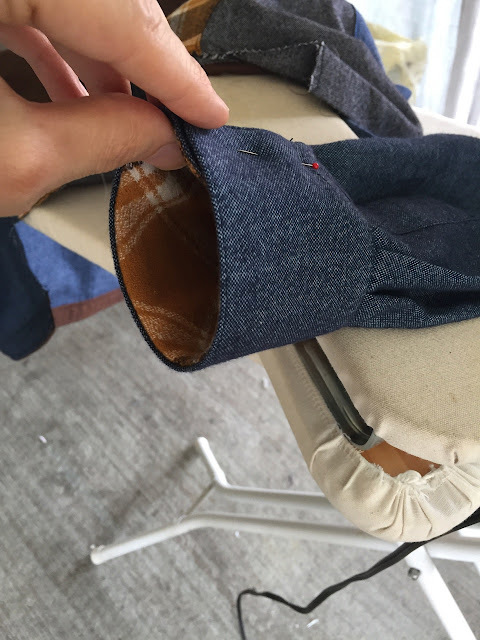 Both cuffs are blue and lined with the flannel plaid cut on the bias. How will all of this look together? You'll have to tune in later this month to find out! Underarm seam: I love when all the seams align correctly! In closing, are you a fan of color blocking? Do you follow any particular method or just go with your gut (or rather, eye)? 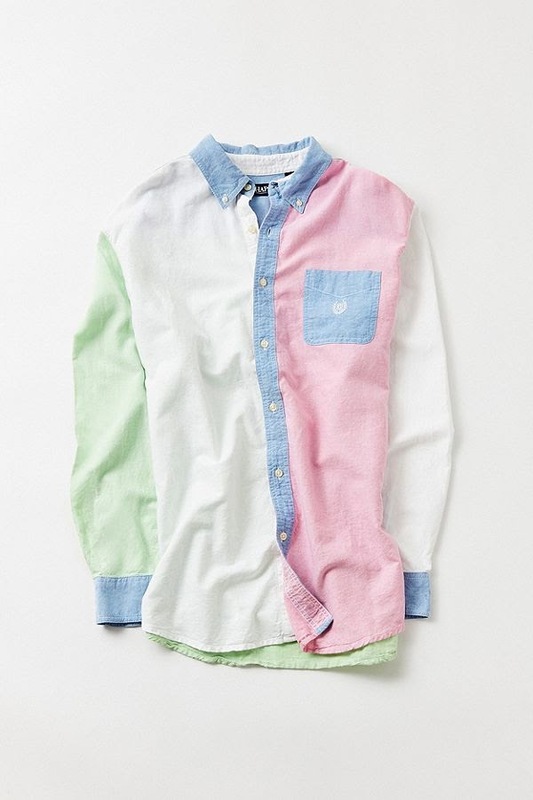 A very preppy take on color blocking. I love your color blocking, but have never tried it myself but you are making me want to try it. 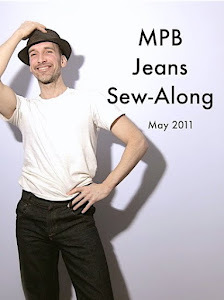 I would love to be able to get my hands on some chambray especially a few different colors, but we have been put on a fabric diet by horrible corporations who buy fabric stores and run out the competition and then offer nothing but horrid fleece year round. I love colour blocking. It's my new thing. As always, your workmanship is impeccable. I've done a bit of color blocking and liked it, but a little bit goes a long way in any wardrobe, IMO. I remember colour blocked flared jeans from the 70's. Each leg had a different colour front and back and side to side, and the pockets were different colours. Of course the larger the flare, the cooler the look! I loved colour blocking then, and I love it now. Your shirt is looking fabulous! I love it. I've had a print blocking idea of wanted to do for awhile. Someday it will get done. It took me forever to find a picture. I wore them in (1) beige and brown and (2)grey and black and (3) dark and light purple. I was too cool for school! Of course at 5'2", I probably looked like a squatty little eggplant, but I LOVED them. Yes, sometimes. I lean toward less is more. Color blocking isn't my thing - but your workmanship is divine! Oof. That red pocket on the plaid shirt gives me a Terminator-red-eye vibe and I can't un-see it. I like the black/white and ladies shirt best. I like color blocking if it is well done with a nice balance. 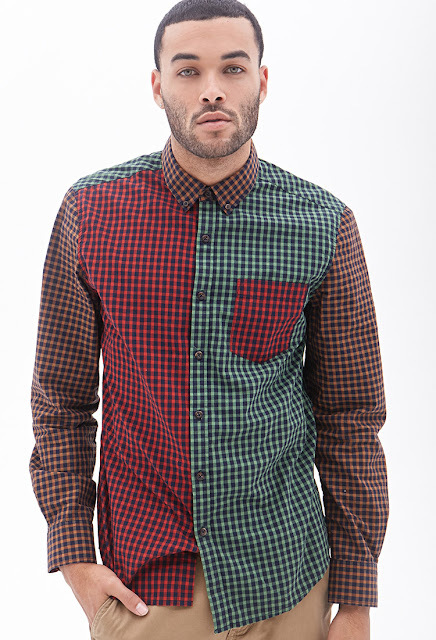 The red/green plaid is a bit disconcerting - but the model distracts from that a bit. LOL. The "alternate" color blocking with the "too long" sleeves just looks ugly to me. The model covers a multitude of sins. Peter, your skills are beyond impeccable. Those seams line up better than the Rockettes. I color-block all the time -- mostly to eke out the small bits of quite lovely material that was gifted to me from my friends' dead mothers' stashes. 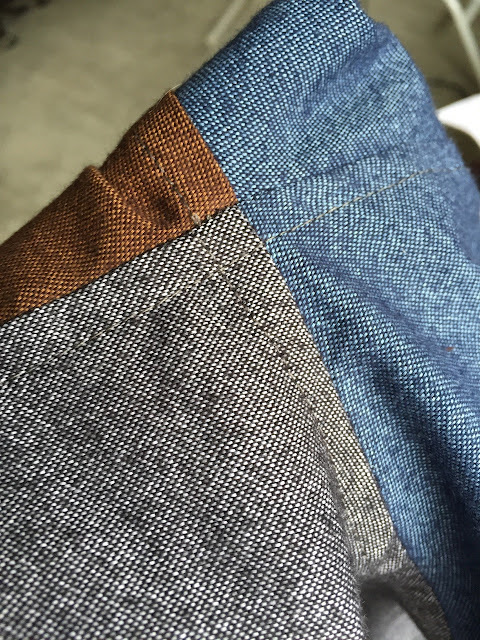 My only rule is that, if I use a piece/color in one place on a garment, I have to use it in at least one other spot that is visible. This could mean that both sleeve cuffs are the same, or both sleeve plackets, or I'll throw a pocket or an appliqué somewhere. 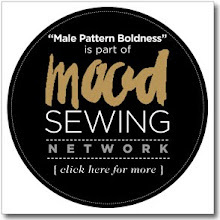 You should probably not try to use more than six different fabrics in one garment, unless you count some quilting patchwork as "one" of your fabrics. I like the examples you've shown and your shirt looks great at this stage. I think it will be a beautiful success. Thanks. I like the placement of your fabrics with the bold plaid as a cuff lining. In quilting we learn to pick out a bold floral print then pick out the colors (solids) from the print and use them as an easy way to choose colors that work well together. What you’ve done really makes me want to try it. I wish I possessed your creativity. It works for me when the sleeves are the same....otherwise it's too much. 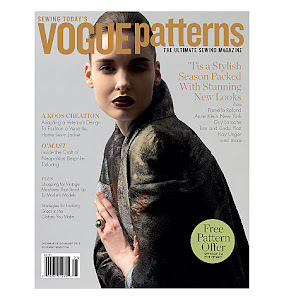 That's when color-blocked becomes harlequin. Just so ya know, Phyllis, good intentions have me purchasing fabric, and I now have a verifiable "stash" - it's happening here. I agree with Phyllis, I need some balance to like the color blocking. I love the woman's blouse and that's about it. It's just too schizophrenic for me otherwise. Love it! Dreamed about a color block tunic just last night--yes ideas come to me in my sleep--am I the only one? Balance is important --some choose a 'keep it interesting' method. 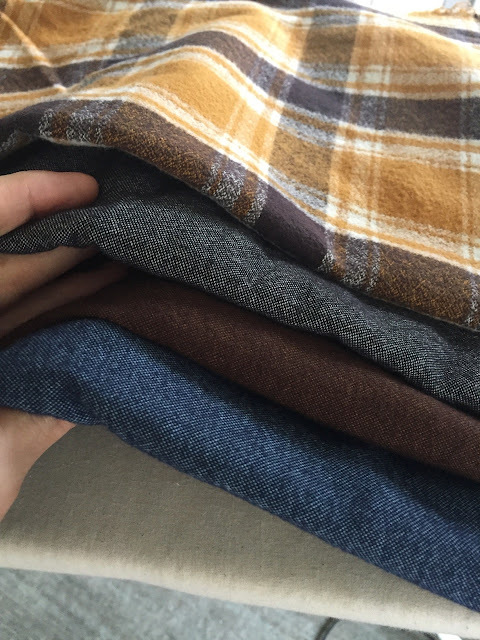 Love the shirt in the autumn colors at the top of your post--perfect for the time of year. The colors blend well together well. This project takes careful planning so as not to be overwhelming. The third shirt with mixing of patterned fabric in different colors hurts my eyes--it's just too much. The Sean Jean shirt brings to mind a fast food uniform, all that's missing is the name tag. I absolutely love color blocking (and pattern blocking)! I agree with others that balance and thoughtful placement of the color/pattern blocks are key. 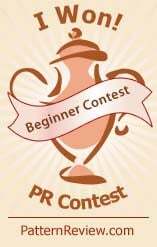 I really dig the one you made previously and the examples you shared, especially the women's shirt. (I love those red cuffs!) 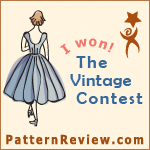 I'll be excited to see your finished garment!